After the Maxwell Wildlife Refuge my intention was to travel to central New Mexico and stay for free on the BLM's (Bureau of Land Management) Diablo Canyon camping area. 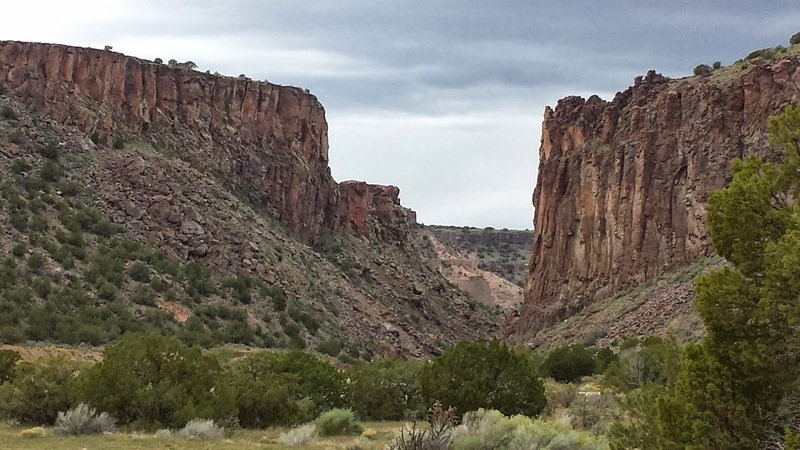 Diablo Canyon is a scenic rock climber's dream approximately 20 miles northwest of Santa Fe, NM. 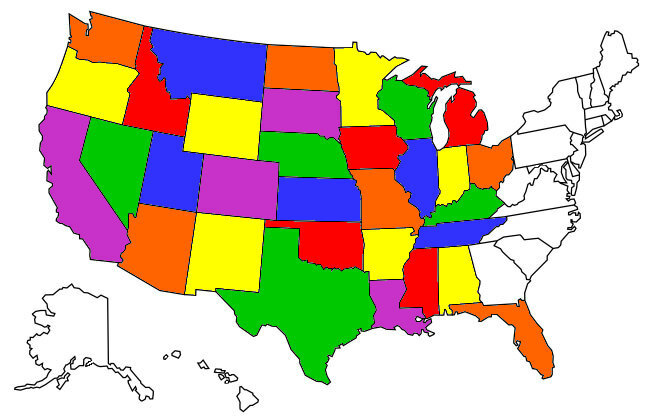 Looks like where the cavalry would have gotten ambushed. 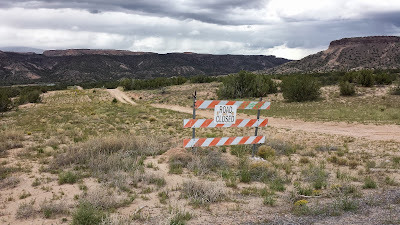 While the canyon is accessible to 2 wheel drive vehicles it's at the end of an extremely bumpy 10 mile gravel road along which you risk detaching dental work if you exceed seven or eight miles per hour. I gamely drove along without stopping to consider that a portion of the system that had dropped all the rain in Colorado the week before had also affected north central New Mexico. Everywhere you looked was gorgeous landscapes. They couldn't put a sign up 9 miles back?? The BLM had "fixed" the washed out parts of the road into the canyon by dumping truckloads of sand on it, letting nature decide when the sand would get packed enough to drive on. To convince myself that the Tank wouldn't be up to the task I took Wally the mountain bike a couple miles further in.....it was pretty bad! In some places the sand was over a foot deep and badly rutted by 4 X 4's and ATV's. I had to push Wally through long stretches of the "road" because peddling was way too difficult. The Tank would never have made it and I would have been stuck in the middle of nowhere. 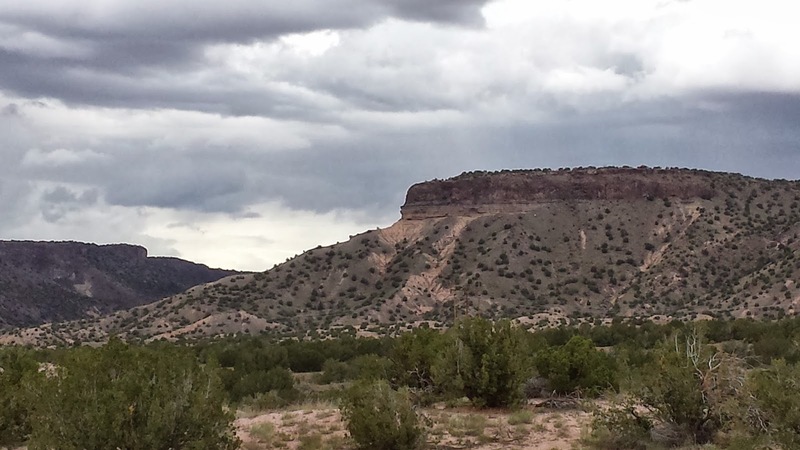 I drove the 9 miles back to the road and spent the night at a Walmart in Santa Fe. Wally was happy to be home, at least.